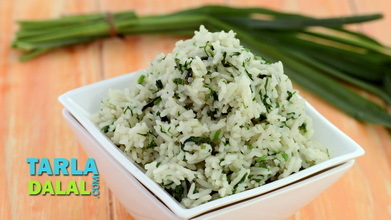 Quick, easy and tasty -- who will not like such a combo! 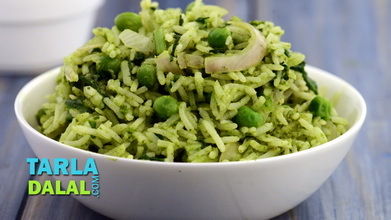 Spinach and green pea rice is a main course that is so tasty you will want to make it every day. 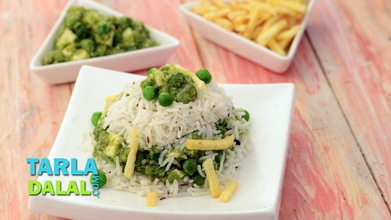 Perhaps it is the magic of the aromatic green masala so full of coriander that transforms the Spinach, green peas and rice into such a delicious dish. 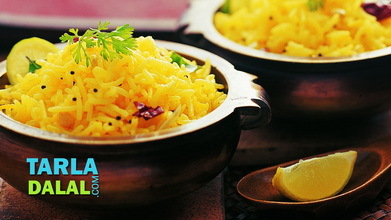 Heat the ghee in a broad non-stick pan, add the onions and sauté on a medium flame for 1 minute. 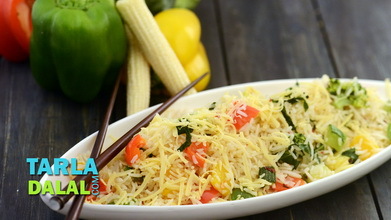 Add the green chillies and spinach and sauté on a medium flame for 2 minutes. 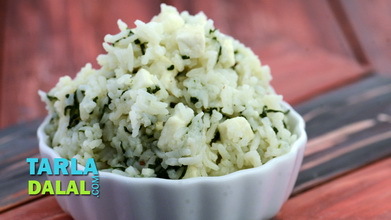 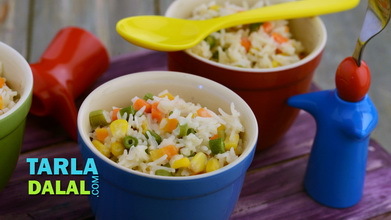 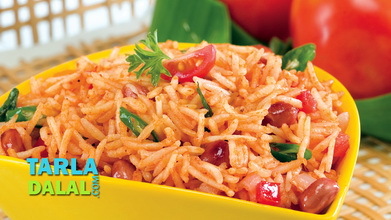 Add the paste, rice, green peas and salt, mix well and cook on a medium flame for 2 minutes, while stirring occasionally. 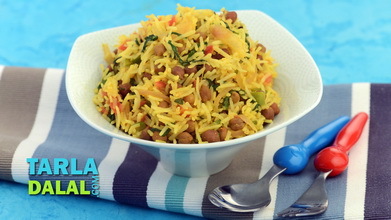 Serve hot with fresh curds or raita.